When a series of unfortunate incidents forces him and his neighbour, Jan, together, he begins to realise the damage done by the accumulation of a lifetime’s secrets and lies, and to comprehend his own shortcomings. Finally, Frederick Lothian has the opportunity to build something meaningful for the ones he loves. Humorous, poignant and galvanising by turns, Extinctions is a novel about all kinds of extinction – natural, racial, national and personal – and what we can do to prevent them. 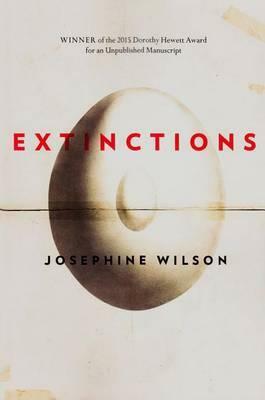 Josephine Wilson is a Perth-based writer. Her writing career began in the area of performance. Her early works included The Geography of Haunted Places, with Erin Hefferon, and Customs. Her first novel was Cusp, (UWA Publishing, 2005). Josephine has lectured and taught in the tertiary sector. She is the busy parent of two children and works as a sessional staff member at Curtin University, where she teaches in the Humanities Honours Program, in Creative Writing and in Art and Design history. She completed her Masters of Philosophy at Queensland University and her PhD at UWA. Her novelExtinctions (UWA Publishing, 2016) was the winner of the inaugural Dorothy Hewett Prize.